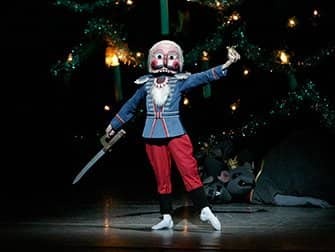 Buy The Nutcracker in New York tickets before you depart. Ballet tickets can be safely and easily purchased online. 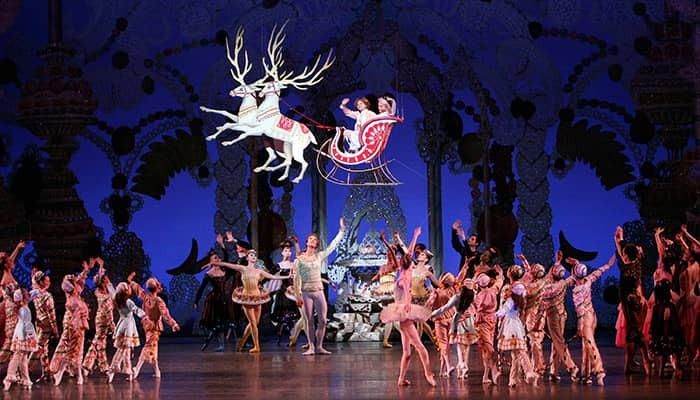 The Nutcracker is performed annually from the end of November until the end of December by the New York City Ballet. Experience this classical ballet with compositions by Tchaikovsky and choreography by Balanchine in the David H. Koch Theater at Lincoln Center. The New York City Ballet performs The Nutcracker every year during the Christmas period. If you’re in New York during the holidays, you will definitely get the festive feeling when you visit this magical, family show. 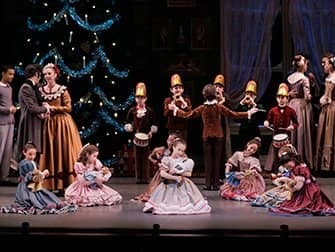 The Nutcracker is set around a Christmas tree and tells the story of the little Clara and the nutcracker she gets for Christmas. At night this nutcracker along with the other gifts under the tree come to life. A conflict ensues between gingerbread soldiers and some hungry mice. The New York City Ballet guarantee a magical afternoon or evening with their performance of this well loved ballet. No less than ninety dancers will appear on stage, in addition to fifty young dancers from The School of American Ballet. Young and old will be impressed by this delightful Christmas show! How to buy The Nutcracker in New York tickets? It is easy to buy tickets for The Nutcracker with the link below. I recommend buying tickets online before your trip to New York. Why? A lot of shows are very popular and are often sold out. You’ll also save time and money and most importantly you don’t have to stress about finding tickets when you are in New York. Send me an email at eric@newyork.com.au if you want to book for groups of ten people or more. Don’t want to see The Nutcracker?